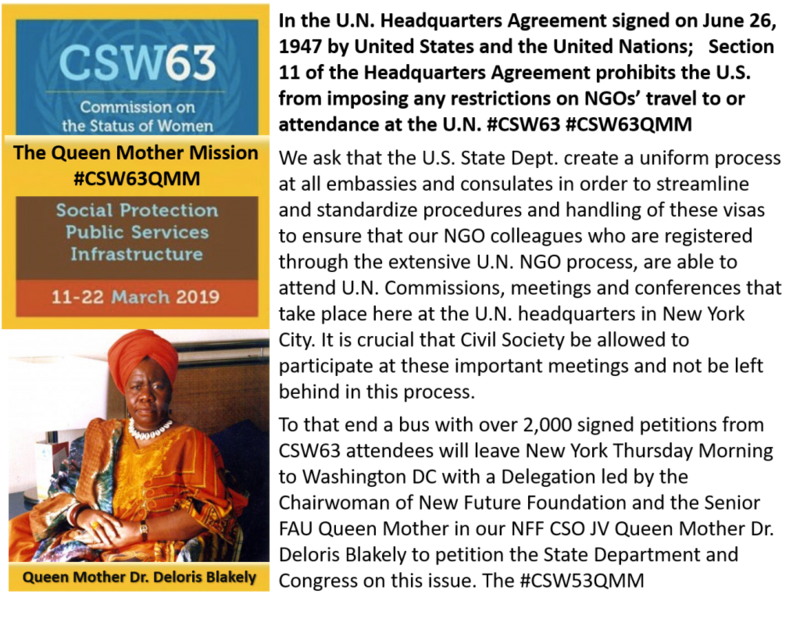 We issue this digital special edition of the Friends of the African Union Women’s Manual in dedication to the 50 years of United Nations work by Queen Mother Dr. Delois Fatima Blakely at the close of the sixty-third session of the Commission on the Status of Women (CSW63). CSW63 took place at the United Nations Headquarters 11 to 22 March 2019 with a Priority theme: Social protection systems, access to public services and sustainable infrastructure for gender equality and the empowerment of women and girls and a Review theme: Women’s empowerment and the link to sustainable development. 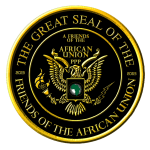 Friends of the African Union (FAU) is an economic, social, humanitarian, charitable, educational and new media civil-society organization founded in 2012 to improve the lives of the people of the African diaspora and to support the work of the African Union, the 55-nation African equivalent of the European Union. In the years immediately following its formation, FAU participated in United States government meetings with African Nations, African Union meetings and consultations, and United Nations forums and conferences. It recruited allies (including Native American and African tribal groups), built an affiliate structure with national country bureaus, state assemblies, and local chapters, and lined up resources. FAU and its allies are signatories to a established 5 year (2016-2020) $30B bank-based Community Benefit Agreement. This manual is a work created now after 400 years in the English Colonies as a solution to the results of the fundamental injustice, cruelty, brutality, and inhumanity of African slavery in the USA for 77 years (1788-1865) and the 168 years (1619 – 1787) in the progenitors to the 13 English colonies that made up the United States of America. It proposes a solution called #2019BlackFolksPlan as to the effects subsequently de jure & de facto of racial & economic discrimination on the descendant Americans of America’s African slavery as detailed in the Civil Society Organizations Friends of the African Union Concept Note for the 24th Session of the Working Group of Experts on People of African Descent that meets starting March 25th and lasts till March 29th 2019.